This example of second-grade persuasive writing argues for improved food quality. I hate wen the chips are brokn. I hate wen they are green. The cafateera shuld get bedder chips. 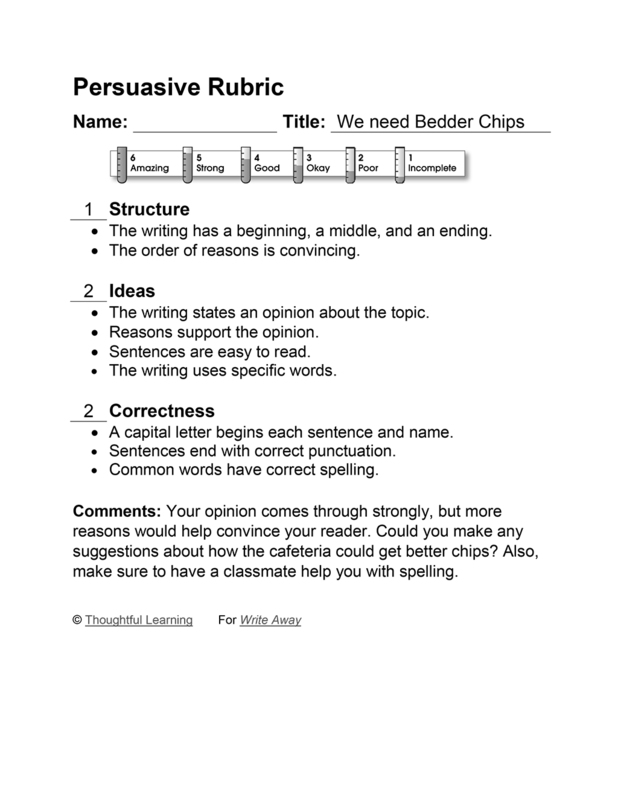 We need Bedder Chips by Thoughtful Learning is licensed under a Creative Commons Attribution-NonCommercial-ShareAlike 4.0 International License. Based on a work at k12.thoughtfullearning.com/assessmentmodels/we-need-bedder-chips.